I made a shadow box type card by layering different sized frames, with pop dots between the layers for dimensions. 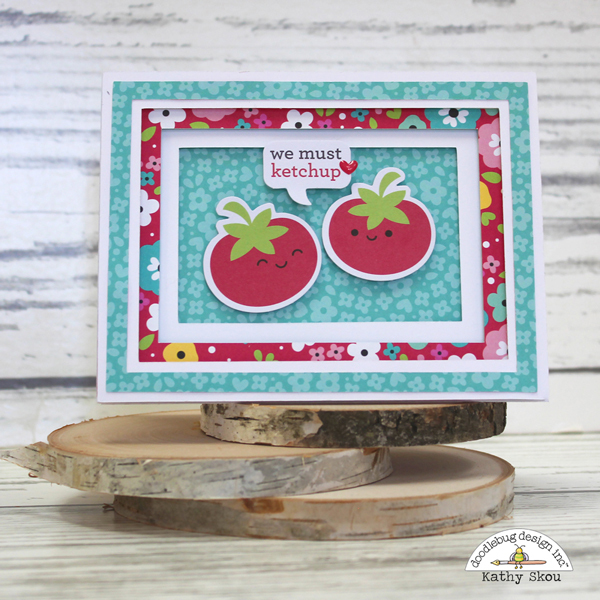 I added the little tomatoes from the Odds & Ends and the speech bubble from the Chit Chat Pieces. To finish, I added one of the Tiny Heart Sprinkles and done! For my next card, I started with this card base cut with my Silhouette. For the center I attached 2 of the soda can Odds & Ends back to back over a piece of Doodle Twine so that they floated in the middle. 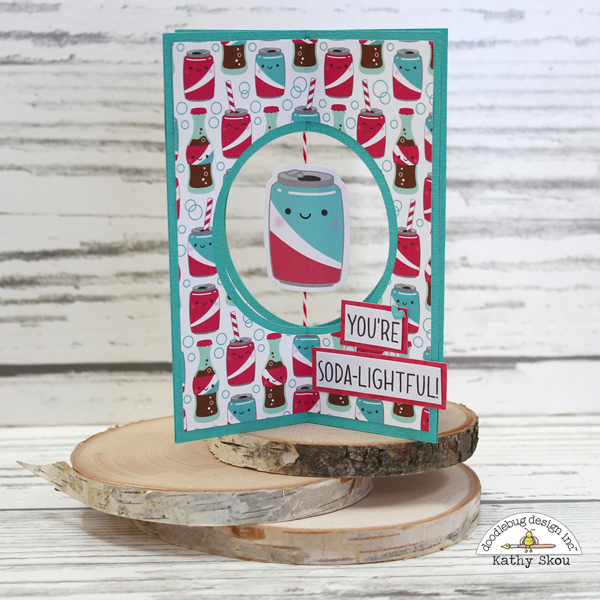 Then I just added the "soda-lightful" saying from the Chit Chat pieces and done! 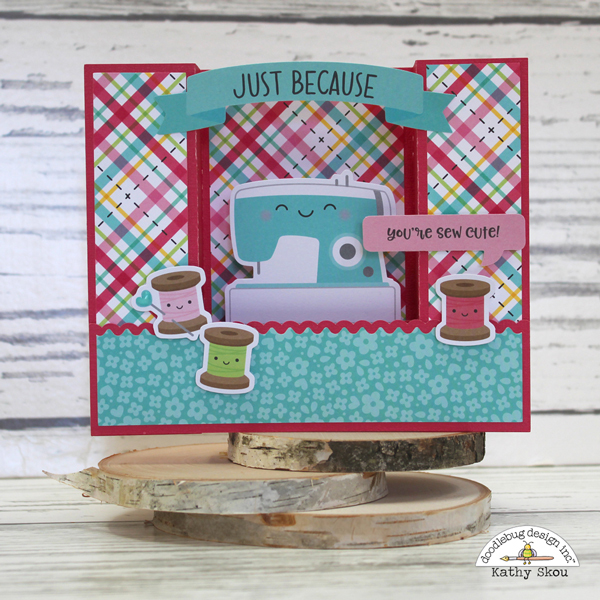 Finally for my last card, I used a center box card base to showcase the adorable sewing machine and thread Odds & Ends Pieces. The speech bubble and the Just Because Banner are from the Chit Chat Pieces. 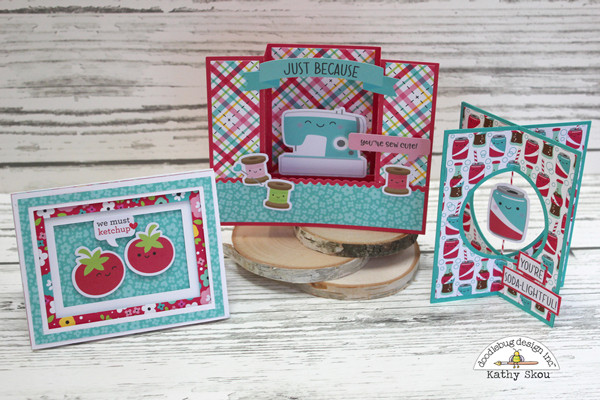 I really love how this collection is great for both everyday and Valentine's themed projects! I've listed the products used for each card below. That's it for me today, thanks for stopping by to peek! The So Punny sets are so darn cute! !